A new report from the China Times alleges that HTC will suspend the trading of its shares tomorrow in a strong sign that its embattled mobile division has been sold to Google. The report also claims that the Taiwanese Android handset maker will make the announcement in the next 24 hours. 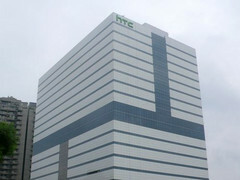 The deal is said to leave HTC in a similar position to Nokia following its acquisition by Microsoft. This means it is not an outright acquisition of the company, but will allow it to continue as a company focusing on other technologies in its portfolio like the Vive VR headset. The rumored deal could also mean the end of HTC-branded smartphones with Google now focused on making its own Pixel-branded handsets. Unlike its Nexus handsets from the pasts that featured the branding of the company making the handset, the Pixel line of smartphones only features Google branding. This is meant to reflect the fact that Google is the principal design force behind each Pixel device. It is not the first time that Google has taken a financial position in a mobile company. In 2012 it undertook what proved to be a disastrous US$12.5 billion acquisition of Motorola, although the circumstances were quite different. Apple under the late Steve Jobs was in a litigious mood at the time and Google felt it needed to purchase Motorola primarily for its numerous mobile phone patents to help protect its investment in Android. It also wasn’t interested in competing directly with its Android partners in the smartphone market. Lenovo later picked up Motorola for just US$2.9 billion, although Google did retain Motorola’s patents. HTC and Google have a relationship that dates back to the very origins of Android. HTC was the first company to launch a phone running Android. However, after once being hugely profitable on the back of Android, it soon was swamped in the high-end smartphone market by the Apple and Samsung juggernauts. In the past three years, it has been bleeding cash and has been looking to find a potential buyer in recent times. While HTC was hemorrhaging money, Google switched away from its Nexus program in favor of making its own handsets. This time around, its OEM partners have been functioning primarily as assemblers of the devices. With Google already partnering with HTC for this purpose on the forthcoming Pixel 2, it has become apparent that there are clear synergies in its relationship with HTC and Google’s current device plans. Google could also use its HTC's manufacturing scale to further promote its Android One initiative. If the rumored Google deal does indeed mean the end of HTC-branded smartphones it will be a sad day. HTC has led many innovations in the smartphone market, including popularizing smartphones with large displays and putting an emphasis on audio quality. [Update] It has now been confirmed that HTC has sold its the team behind Google's Pixel phones to Google for US$1.1 billion. HTC will continue to make its own phones while also pursuing its Vive VR business. The deal means that half of the 4,000 people who work in HTC's R&D division will now move over to Google, but the venerable HTC brand will live on.